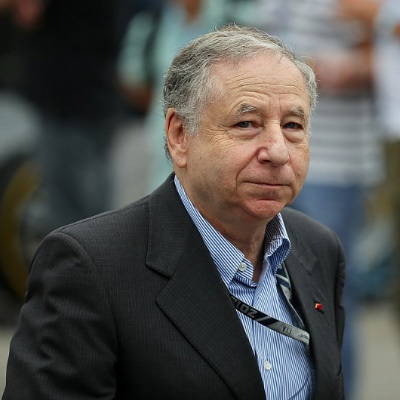 Jean Todt was born on 25 February 1946 in Pierrefort, Cantal (France). He has one son, Nicolas, aged 38, and shares his life with actress and film producer Michelle Yeoh. He studied economics, business and marketing at the Ecole des Cadres in Paris. In 1966, he began his career and participated in World Rally Championships until 1981. That same year, alongside Guy Fréquelin, he won the World Rally Championship for Manufacturers with a Talbot Lotus. Between 1966 and 1981, Jean Todt co-drove 18 drivers amongst the most succesful of their time and 12 major manufacturers, winning many international rallyes in the process. He was then appointed Peugeot’s Director of Racing and founded Peugeot Talbot Sport (PTS), which claimed the Drivers’ and Manufacturers’ World Rally Championship titles in 1985 and 1986 before going on to take first place in the general classification at the four editions of the Paris-Dakar Rally between 1987 and 1990. In 1990, Jean Todt became Director of Sporting Activities of the PSA Peugeot Citroën Group, overseeing Peugeot’s participation in the World Sports Car Championships, which Peugeot won in 1992. It also claimed two consecutive victories at the 1992 and 1993 Le Mans 24 Hours. On 1 July 1993, Jean Todt left Peugeot and became Manager of Ferrari’s Racing Division. Under his leadership, from 1993 to 2008, Scuderia Ferrari won 14 Formula One World titles (8 Constructors’ and 6 Drivers’ titles, of which 5 for Michael Schumacher) and 106 Grand Prix victories. In 2001, he took on responsibility for all motor sport activities of the FerrariMaserati Group and then became Director of Ferrari S.p.A. He was appointed General Manager of Ferrari in 2004 and went on to become Chief Executive Officer in 2006. Jean Todt left Ferrari in March 2009. Jean Todt was elected President of the Fédération Internationale de l’Automobile (FIA) on 23 October 2009, and was re-elected on 6 December 2013. On 29 April 2015, the United Nations Secretary-General appointed Jean Todt as his Special Envoy for Road Safety. Jean Todt also devotes his time to several charitable causes. He is one of the Founders and Vice-President of the Institut du Cerveau et de la Moelle Epinière (ICM), an institute devoted to medical research for brain and spinal cord disorders, which was set up in 2005. He has been a member of the Board of Trustees of the FIA Foundation for the Automobile and Society since 2009, President of the Board of Directors of the Suu Foundation since December 2014 and member of the Board of Directors for the International Peace Institute (IPI) since June 2015. He also sits on the boards of Gaumont, the Groupe Lucien Barrière, Edmond de Rothschild SA, the Friends of the Musée d’Art Moderne de la Ville de Paris, and the International Advisory Board of Sotheby’s. Since 2003, Jean Todt has been an Honorary President of the Federazione Auto Motoristica Sammarinese (FAMS). He is also an Honorary Member of the Automobile Club de France, and a Member of the Polo de Paris.